Jane Painter Green, 95, of Marble Hill died Tuesday, May 18, 2010, at Woodland Hills Nursing Home. She was born Dec. 14, 1914, in Telluride, Colo., daughter of George Russell and Jessie Euphemia Mills Painter. 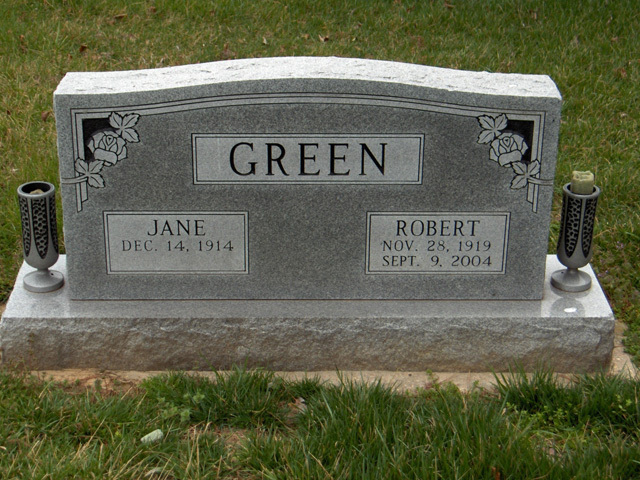 She and Robert Earl Green were married March 12, 1947. He died Sept. 9, 2004. Jane was a member of Alpha Xi Delta sorority, Durane Club of Malden, Mo., Malden Coffee Group, Marble Hill Study Club, United Methodist Women's Club and Marble Hill United Methodist Church. Survivors include a son, Robert Earl Green of Evansville, Ind. ; a daughter, Darlene Houchins of Marble Hill; four grandchildren, Julie Kintner, Jared Houchins, Derek Green, Adam Green; and four great-grandchildren, Nolan and Alaina Kintner, Abigail and Ethan Green. She was preceded in death by her parents, and three sisters, Martha Painter, Marjorie Jameson and Corwina Ferrell. Visitation will be from 5 to 8 p.m. Friday at Liley Funeral Home in Marble Hill. The funeral will be at 10 a.m. Saturday at the funeral home, with the Rev. Michael Lockhart officiating. Burial will be in Bollinger County Memorial Park Cemetery near Marble Hill.